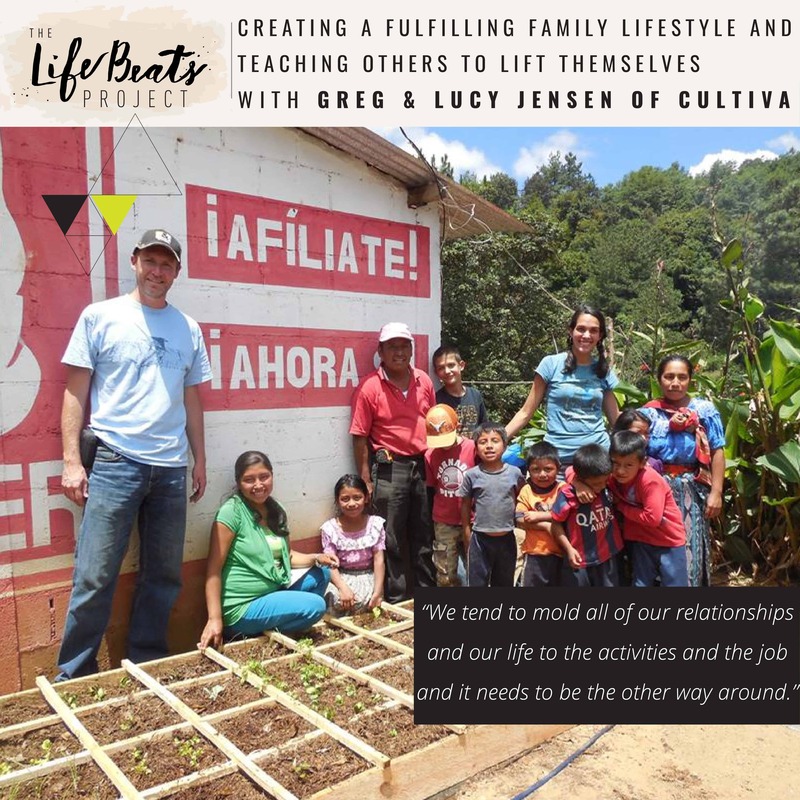 Greg & Lucy Jensen of Cultiva International share their story on today’s podcast of why they decided to leave their life as they knew it here in the United States and drive down to Guatemala with their van packed with their family of 6 and all the rest of their belongings to start a new life there. Together they share that what is right for your family may look very differently than everyone else’s and that finding a way to create the family culture you desire is worth every effort. Greg shares how he never felt fulfilled in any of his “good” jobs and why he is so passionate about telling young people that there are so many options besides just getting a job. Lucy shares how she wanted more for her children than just the bubble they were living in and how moving to Guatemala has been the best thing for their family despite the hiccups and adjustments. Greg tells how creating a lifestyle that you desire for your family does not require a move out of the country and shares the principles of how to do it. They share about the circumstances of chronic malnutrition in Guatemala as the 4th highest in the world and what poverty means to them versus what it means to North Americans, explaining it in terms of internal emotions such as shame, sadness, and hopelessness instead of our typical idea of lack of material things. They share how they have come to learn the guiding principles on how to do humanitarian work effectively to teach the people how to help themselves and what Cultiva International has done to help over 350 families to create sustainable change and empowerment in their lives. Listen and be inspired to mold your activities, your job, your school to your relationships and your life’s desires instead of the other way around and to see that the way that things have always been done or the way others do them isn’t necessarily the best way for you and your family. Want to know if this episode it for you? This episode is perfect for someone who is thinking about making any real change, especially one involving their family lifestyle. It is also perfect for someone wanting to know more about effective humanitarian efforts and more about malnutrition in Guatemala. It is also for those who are looking more inspiration to live a life differently than the norm, to pursue a dream, and to take action on creating the family lifestyle you desire.